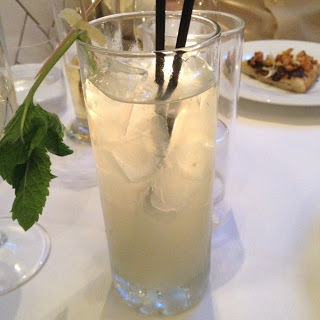 I started with a cocktail: Melrose Mule – vodka, ginger beer, lime, cucumber, mint & banana pepper – YUM!!! 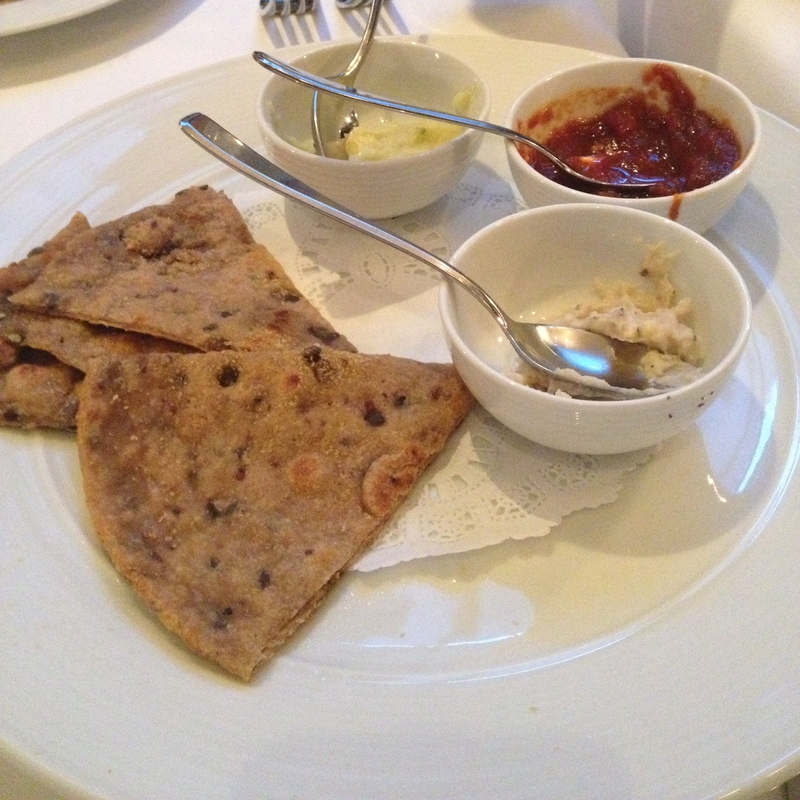 First starter: lentil flatbread w/ leek pate, smoked white bean hummus, & tomato braised banana peppers. The white bean was my favorite, so smokey and delicious. 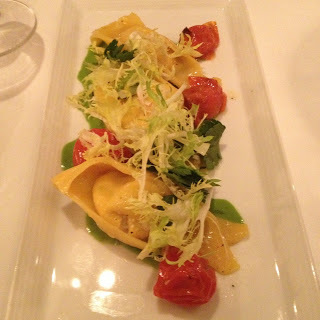 The tomato was also very good. The leek I wasn’t impressed with. 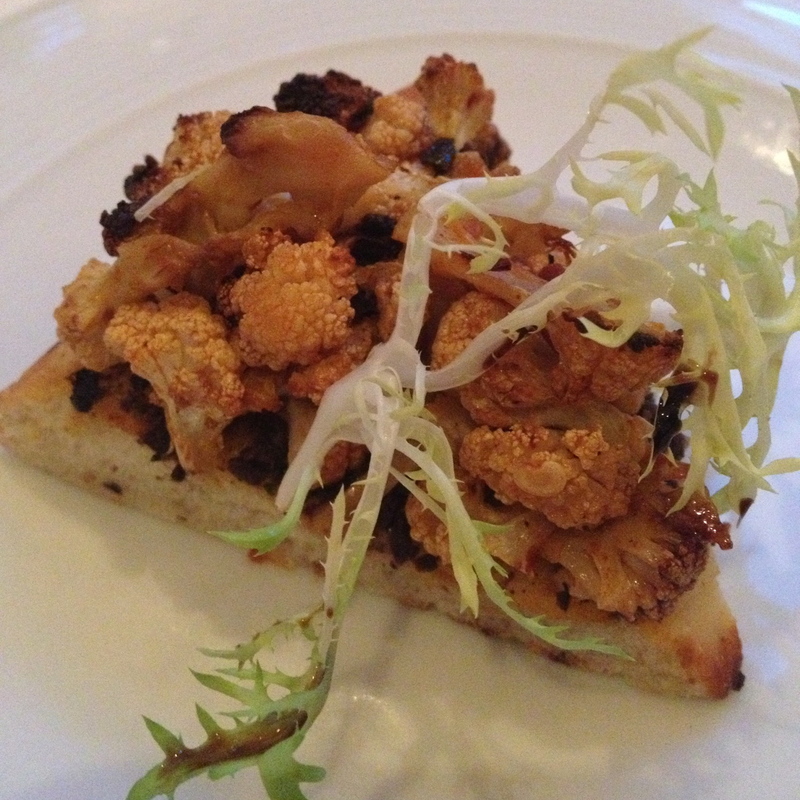 Second starter: Flatbread w/ Pistachio kalamata tapenade & spicy roasted cauliflower. Really, really good. Salty, nutty and cooked to perfection. 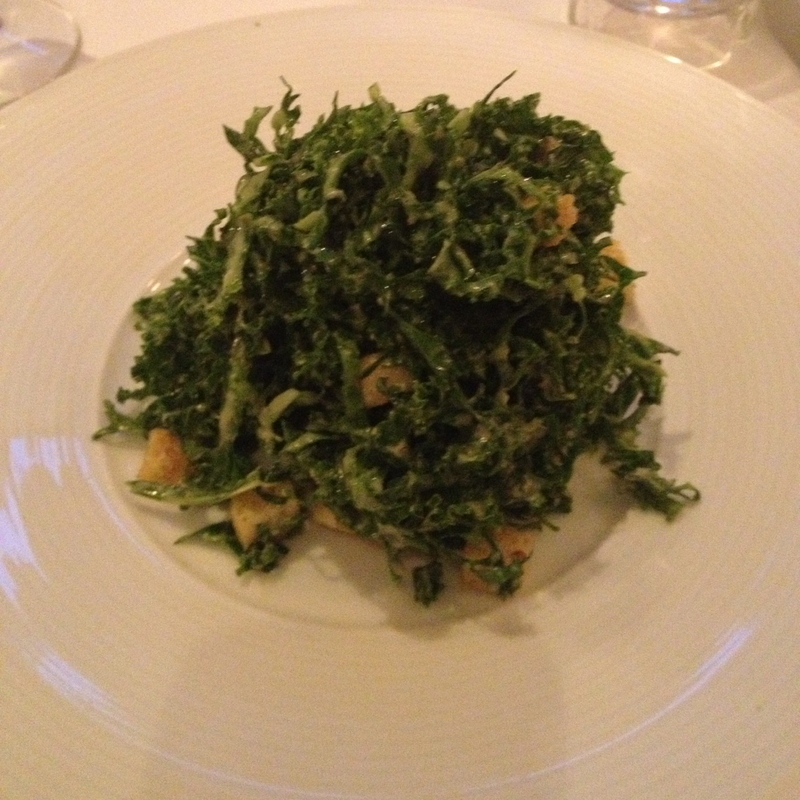 Third starter: Kale Caesar Salad (special menu item) – I have to say one of THE best salads I have ever had. Crispy kale, creamy dressing and amazing saltiness from capers. 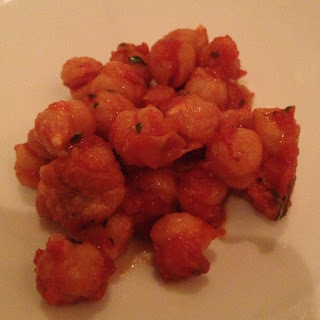 Spiced Chickpeas: I could have eaten an entire bowl of these. I love me some spice and these had just the right amount. Red Quinoa: not my favorite. It wasn’t bad, just nothing incredibly special about it. Cassoulet: Another one that was ok. 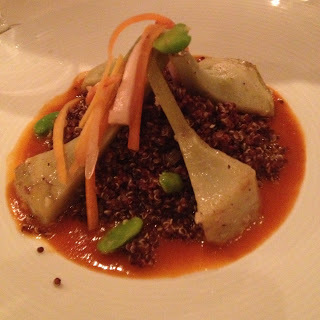 The lentils were not very flavorful, but the veggies on top were really good! Artichoke Oysters: I’m still thinking about these, I may just order 5 plates of this dish next time I go. 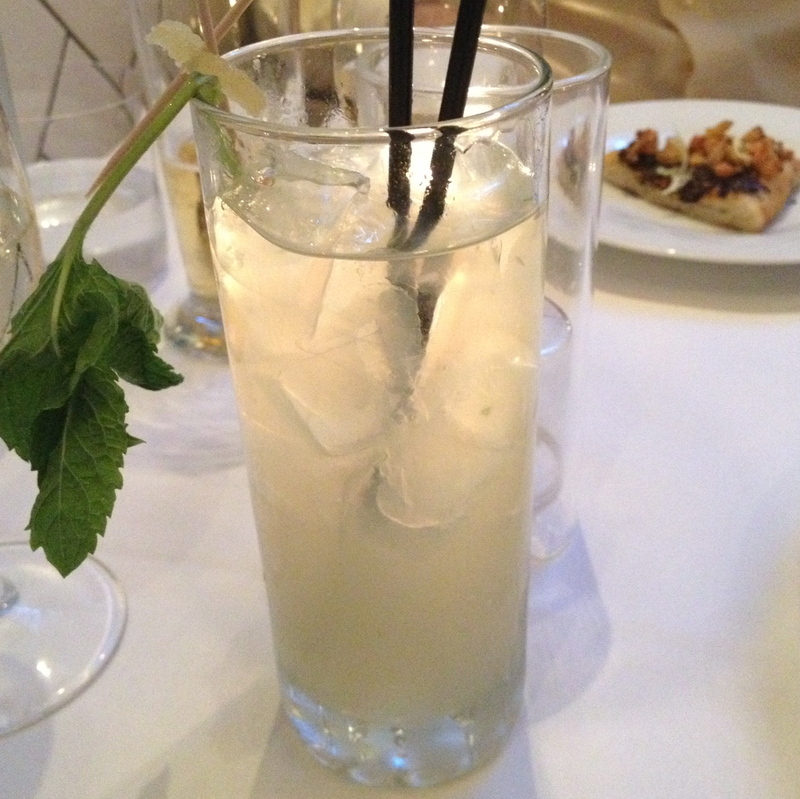 So much flavor and very inventive! 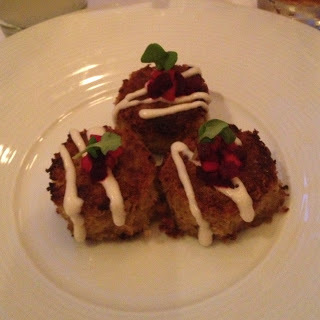 “Crab Cakes”: Another dish I would order over & over again. 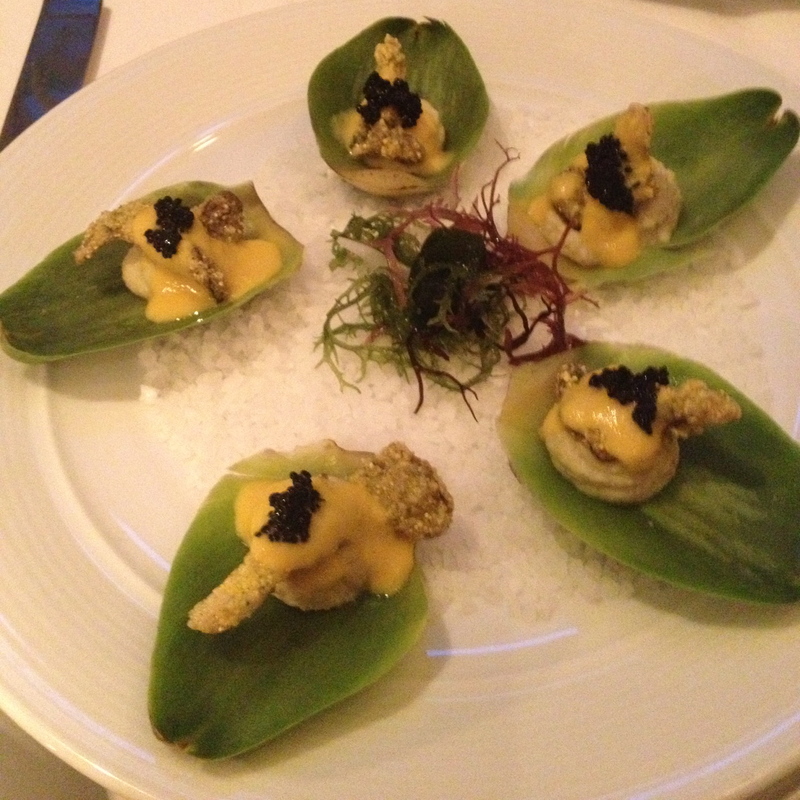 With dishes like this, no one needs to eat real seafood. 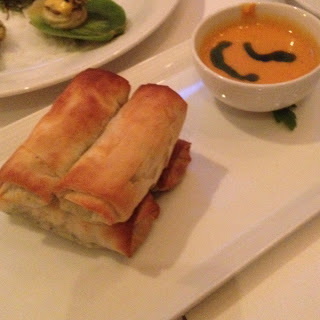 Kale Spanakopita: YUM, YUM, YUM! 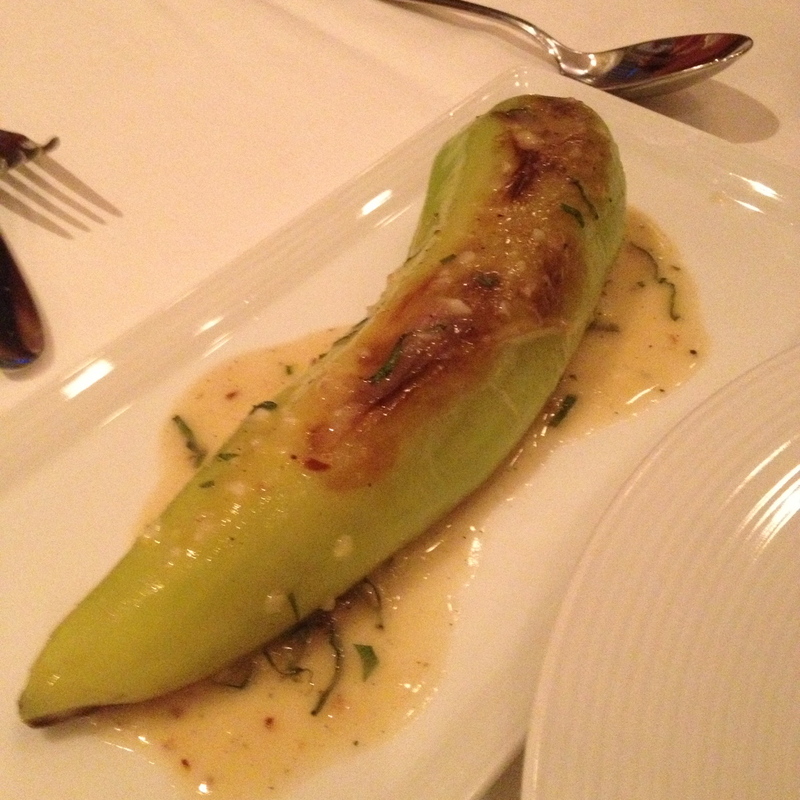 Risotto Stuffed Banana Pepper: So…um. This one looks incredibly, um, manly. 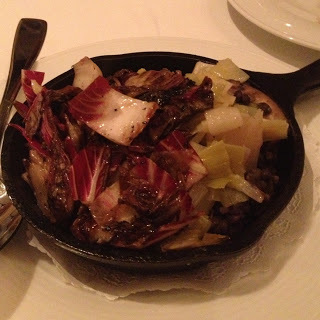 Beyond that, it was my least favorite dish, the risotto was undercooked and the pepper was WAY too spicy. 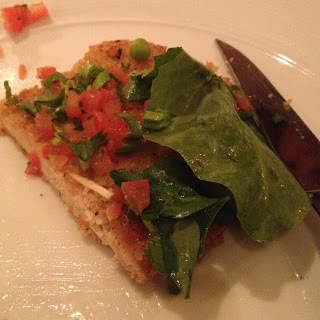 Gardein Chicken (special menu item): This was actually really really good even though there wasn’t anything super special about it. Tortelloni: another amazing dish. 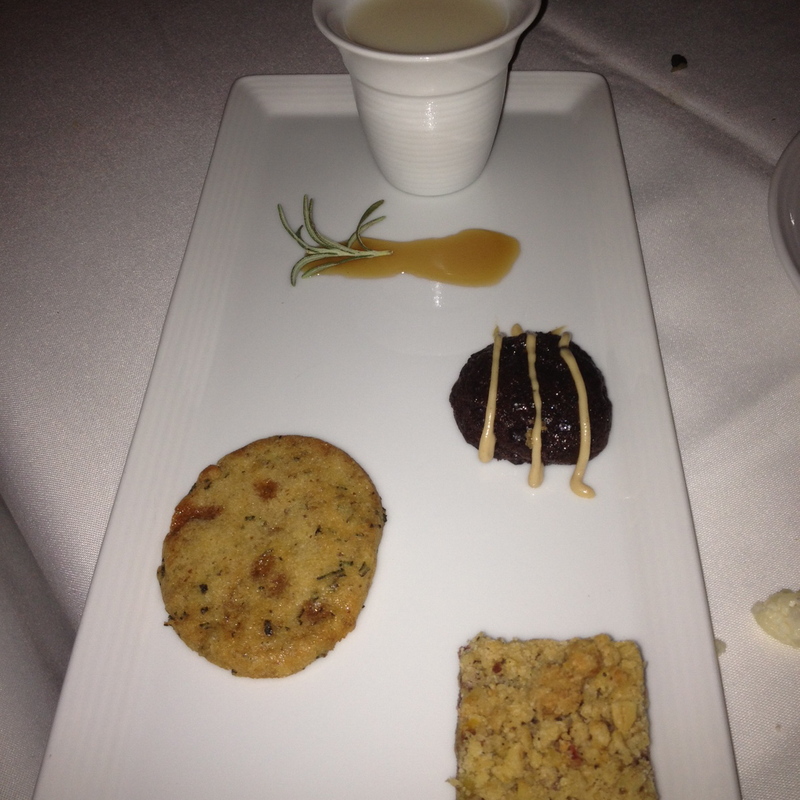 The almond cheese was to die for. Chocolate Bundt Cake: it had me at chocolate. 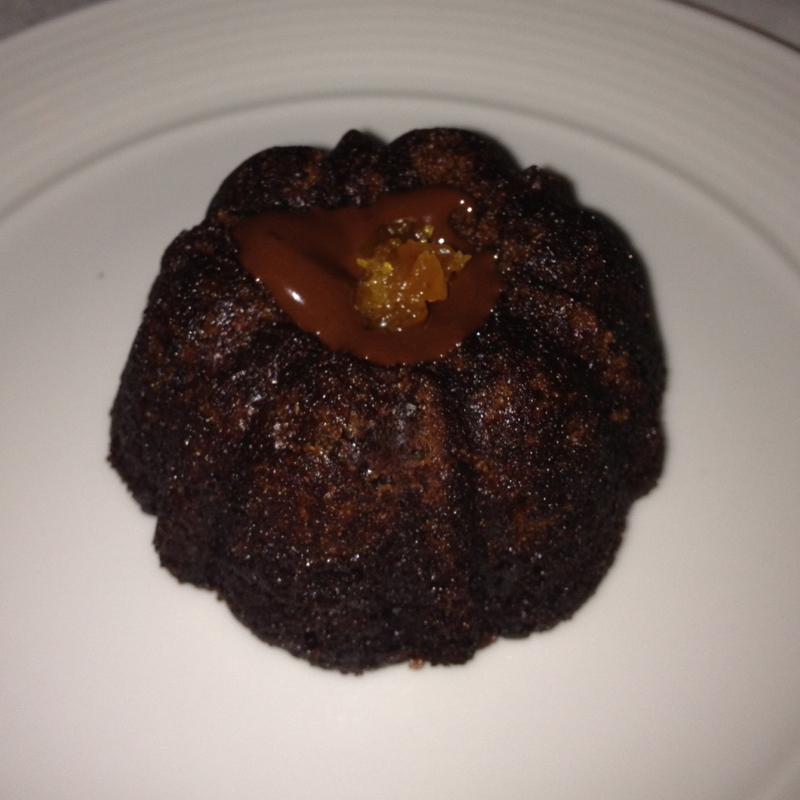 Holy crap this was good. 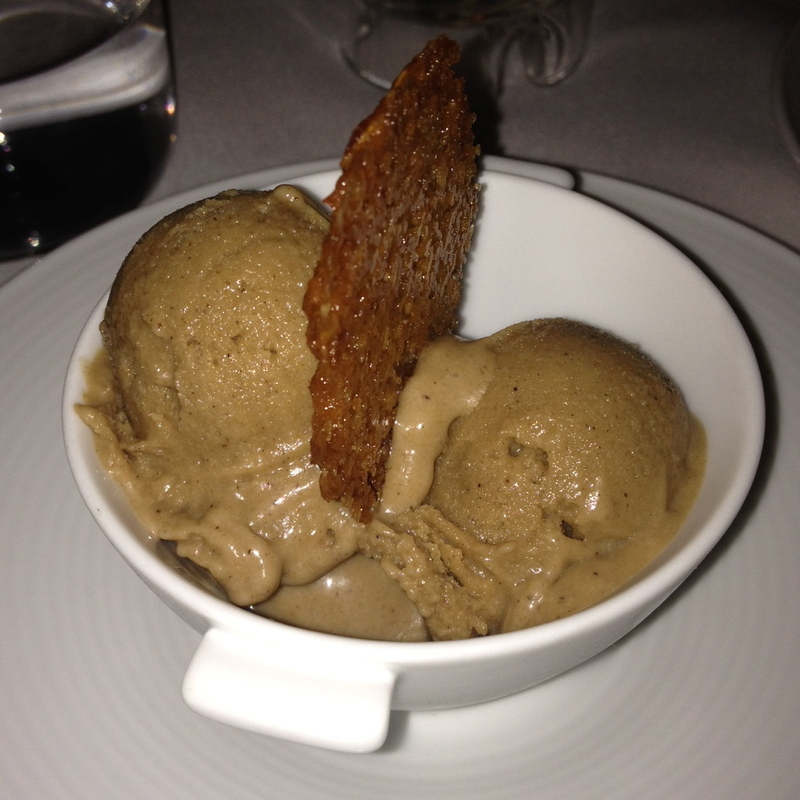 Cappuccino Ice Cream w/ Florentine Cookie: also amazing. 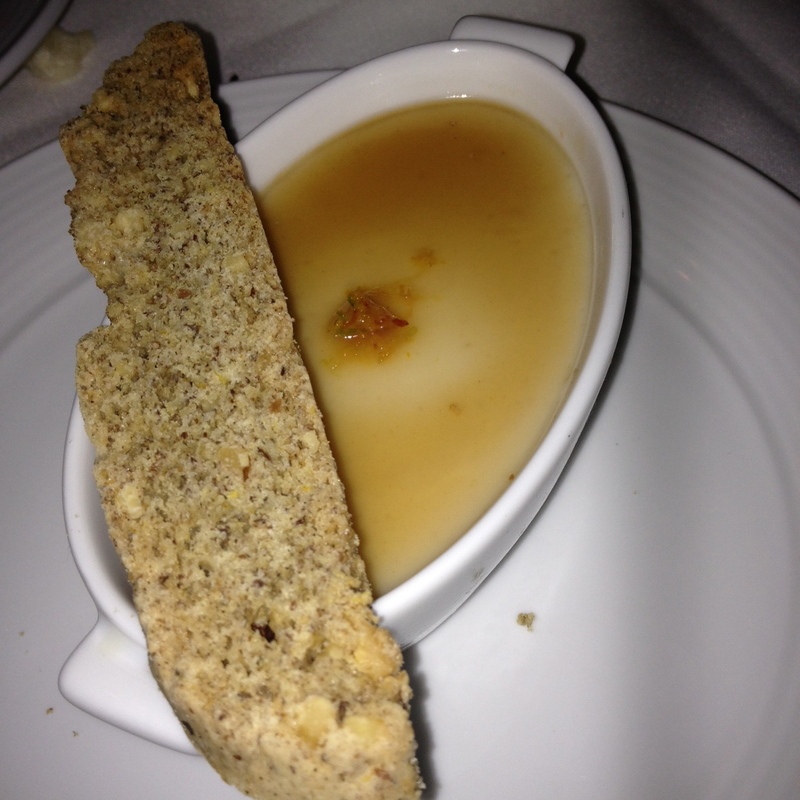 Vanilla Bean Panna Cotta: pretty damn good, though it would not be my normal dessert choice. Overall, an amazing dining experience. SO much good food, the service was attentive and friendly and the atmosphere is chic and upscale. I can’t wait to go back!